Finally the sturdy John Abraham is all set to punch hard with twice the force. 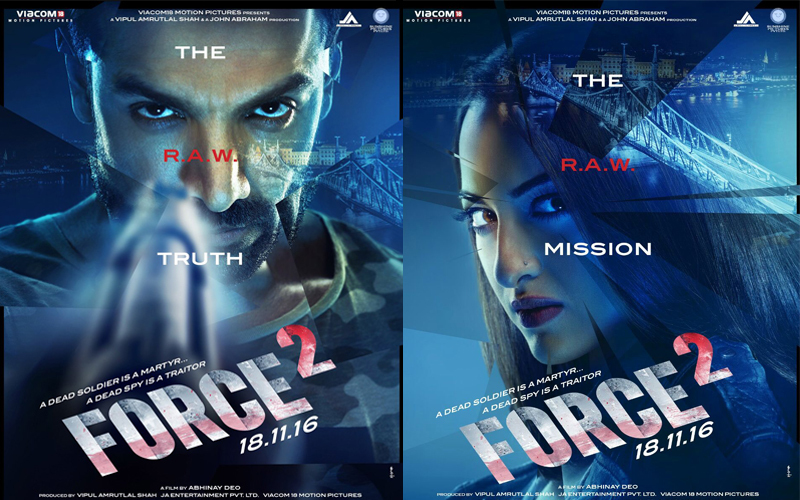 His much awaited offering Force 2 is going to be released on 18 November 2016. 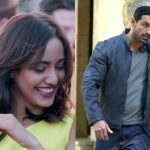 It is an action thriller movie, directed by Abhinay Deo and produced by Vipul Amrutlal Shah & John Abraham under the banners Sunshine Pictures Pvt. Ltd. & JA Entertainment Pvt. Ltd.
Force 2 is the sequel of 2011’s Force which was remake of 2003’s Tamil movie Kaakha Kaakha. The new installment features Sonakshi Sinha opposite to John in lead roles, Tahir Raj Bhasin as an antagonist and Genelia D’souza in a cameo role. Story of the movie is written by Ritesh Shah, who has also penned strong movies like Airlift & Pink. To set the buzz, makers have unveiled the first look of John from the movie, who is reprising his role of ‘ACP Yashwardhan’ from the prequel. Undoubtedly the poster is looking thrilling but from a long time we are seeing John in the same role of undercover agent, so nothing is very surprising. Makers have also revealed the two major characters ‘KK’ & ‘Shiv’ of Force 2, which are being played by Sonakshi and Tahir Raj Bhasin, who made his debut with Rani Mukerji’s Mardaani. The gritty and thriller first look of the movie has boosted the curiosity of fans and now all are keen for its trailer. 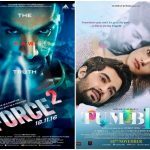 Reportedly, official trailer of Force 2 is releasing on 29 September and its theatrical print will be screened with M.S.Dhoni The Untold Story from 30 September. As per the critics the trailer is very interesting and power-packed, promises for thrilling movie.